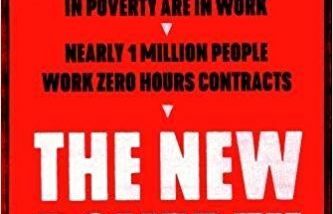 Has the media failed people in poverty? Has the media failed people in poverty – and what can we do? On the 75th anniversary of the Beveridge Report, 13 million people in the UK now live in poverty, with 1 in 5 children below the poverty line. As an increasing number of people in our society struggle to get by, we ask what role the media has in reporting their stories – and what can be done to change perceptions and provoke action. On 12th October 2017 Unreported Britain will host a panel debate chaired by Jonathan Freedland (The Guardian) featuring Campbell Robb (Chief Executive, The Joseph Rowntree Foundation), Ros Wynne-Jones (The Road to Wigan Pier 2017), Rossalyn Warren (longlisted for the Orwell Prize 2017) and journalist Stephen Armstrong. The debate launches Stephen Armstrong’s forthcoming book The New Poverty (Verso, 3rd October) which draws on stories written for Unreported Britain, a project from the Orwell Foundation in collaboration with the Joseph Rowntree Foundation. This event is free, but we ask you to consider donating to the Orwell Youth Prize when you book. The prize aims to inspire the next generation of socially engaged young writers: we target young people in schools across the country which meet a measure of deprivation. Your donation will support a provocative writing workshop featuring a professional author or journalist. Book your ticket on our eventbrite page.